After putting up a very tough fight DIVINE CONNECTION WIN Kurkure Desi Beats Rock On with MTV! 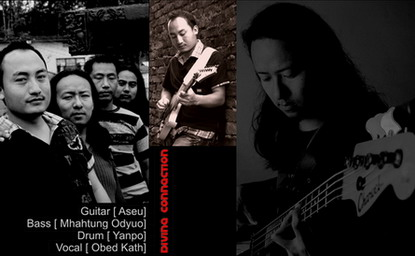 Divine Connection is a band from Kohima, Nagaland who play varied blend of rock music fused with jazz and funk. They are primarily involved with the Christian music scene and it will be interesting to see them incorporate other religions into their performance. They are a very tight and professional band. The front man of the band says that although he is unable to provide a luxurious lifestyle to his family by being a working musician, the fact that his four year old son recognizes his voice when he hears him on the radio makes it all worth it.